You might dislike a few of the state quarter designs, but none of those are as artistically questionable as this new German coin commemorating 70 years of currywurst. The coin, which features two massive bratwursts dripping with sauce, was released to celebrate a German favorite dish: bratwurst with curry sauce. 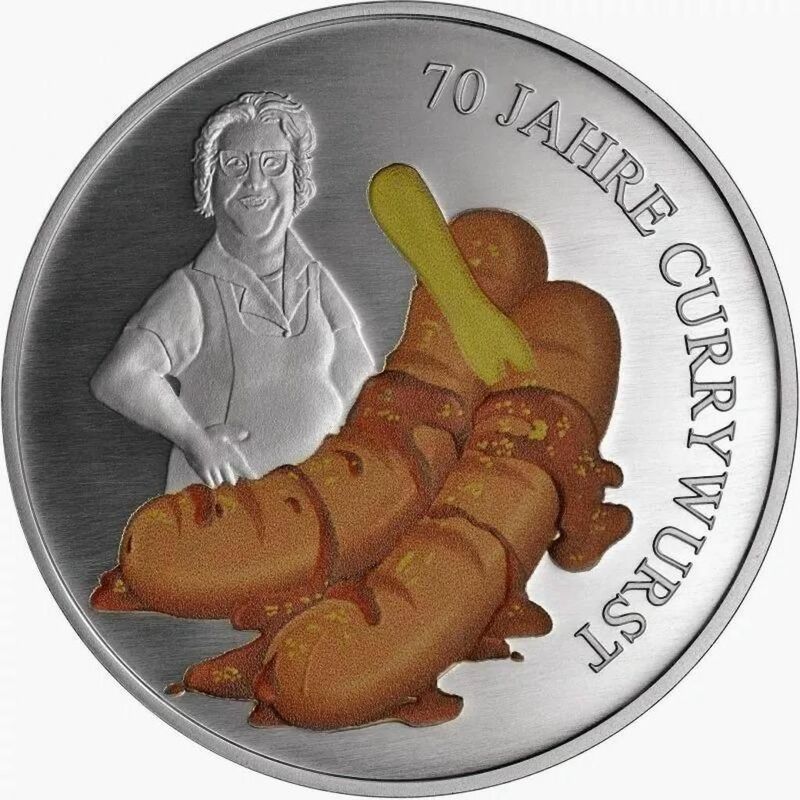 And for those who really want to take their love of currywurst to the next level, the German mint is selling approximately 2,500 these coins for $14.90 each. It’s important to note, however, that these are not valid legal tender. That’s right, you can’t even use them to buy currywurst. The coin’s design celebrates the opening of a snack stall in Berlin by Herta Heuwer in 1949. According to local legend, business was slow, and Heuwer had plenty of time to experiment with new, delicious recipes. One of these recipes involved mixing sweet pepper, paprika, ketchup, and curry powder into a sauce and serving it over a bratwurst. She might not have known it then, but Heuwer had just invented a cult classic and a culinary sensation. Around 800 million currywursts are consumed each year in Germany. Heuwer’s snack stall grew in size until the 1970s when it finally shut down. Hundreds of other sausage stands and restaurants across the world have replicated her currywurst, however, ranging from greasy drunk food to upmarket versions at fancy restaurants. Heuwer passed away in 1999 and took her recipe to the grave, but the currywurst faithful should be pleased to see her live on in this coin.